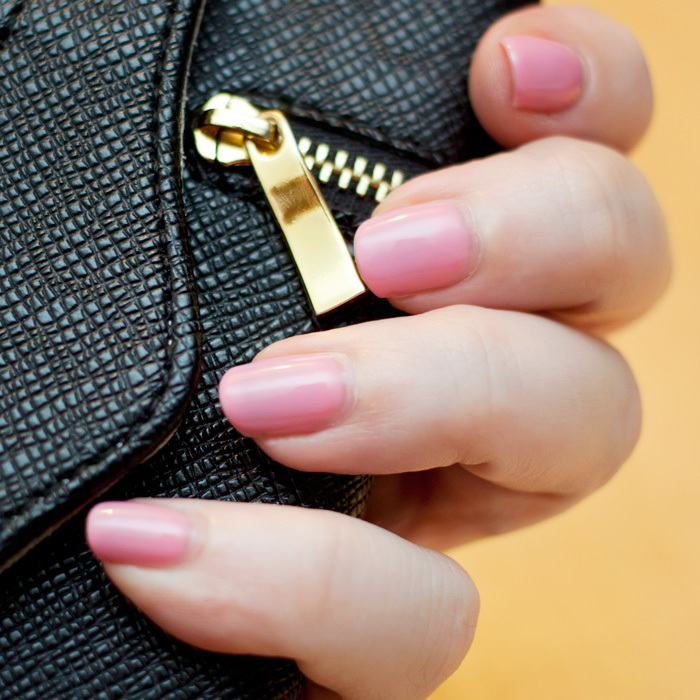 The lure of a manicure that delivers long-lasting wear, minimal fuss, and one that can be done in the comfort of your own home is a strong pull. Once upon a time, the only way we could have achieved something like this would have been to visit our nearest nail technician for acrylics and gel overlays (I used to love Bio-Sculpture). Nowadays technologies have moved on and things have become a lot let fussy since the advent of Shellac and Gellish-type polishes… and even more so, now that we can use similar UV-cured polish technology at home! I’m not a newbie to at-home gel polish systems, having previously trialled and reviewed Red Carpet Manicure’s major competitor in the UK market: Sensationail, infact… I’m in a priviliged position where I’m able to deduce any differences between the two systems. So, without further ado, let’s get down to it. The first point to note between the two at-home nail systems is that of the two… the Sensationail Kit is slightly cheaper at £60, compared to the Red Carpet Manicure Starter Kit at £65. The Red Carpet Manicure kit contains pretty much the same product as the Sensational in terms of: prepping products, base coat, colour, top coat… the systems both work in a similar way when it comes to application and use. The major difference between the two kits is the lamp. Sensationail’s kit comes with a “pro” lamp as standard. In this instance, you can take that to mean… a lamp with a timer. 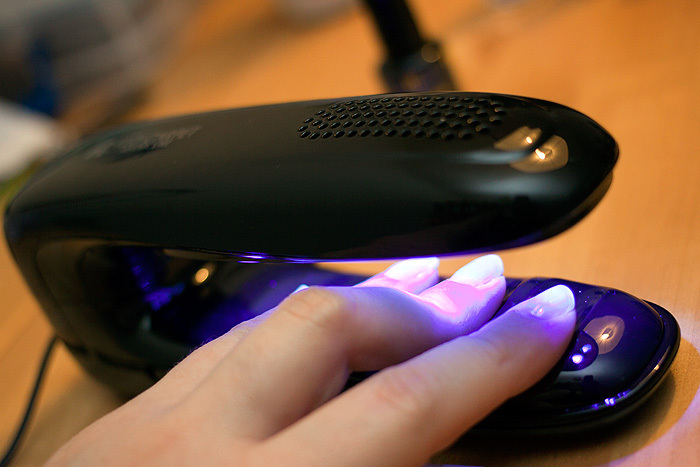 The Sensationail lamp cuts out after 1-minute and “chirps” after 30-seconds. 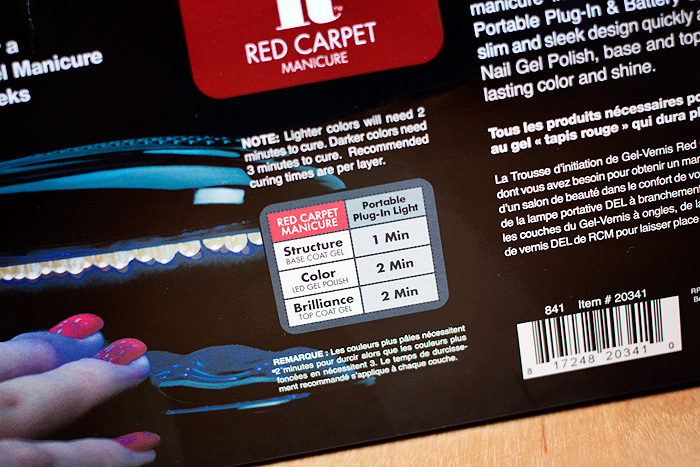 Red Carpet Manicure’s smaller footprint lamp… doesn’t do this, you need a clock handy. No real problem for those of us with our smartphones glued to our fingers anyway but curing time is also longer after each step with the Red Carpet Manicure system. 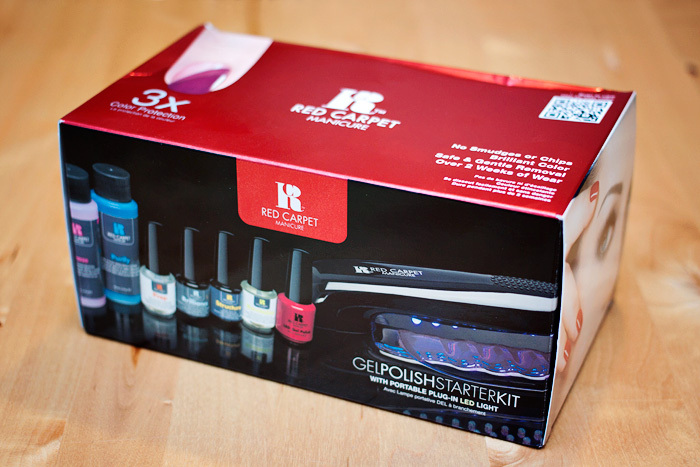 In terms of value for money… the Red Carpet Manicure system provides you with larger-sized bottles in your starter kit. Over double the amount of base/top coat, something that is fundamental to the system working… and generous quantities of nail cleanse and remover. Sensationail’s offering, at around 3.6ml is pretty stingy… it won’t be long before you’re buying topups to be fair. Back to the lamps for a moment… although the Red Carpet Manicure’s lamp has the convenience of being able to be powered by USB (laptop powered nails yeahh!! ), I did find the design a little awkward. My longest, middle finder had to contort in order to fit under the UV bulbs. It’s no biggie… you don’t have to keep your hands locked in position for hours but it’s worth mentioning as a point of difference. Red Carpet Manicure also do a less-portable lamp (with timer) in one of their more expensive kits. Lamps compared, quantity of product and price compared… things are working out to be pretty even between the two contenders for the at-home manicure crown. But wait… because I’m about to blow this thing apart. 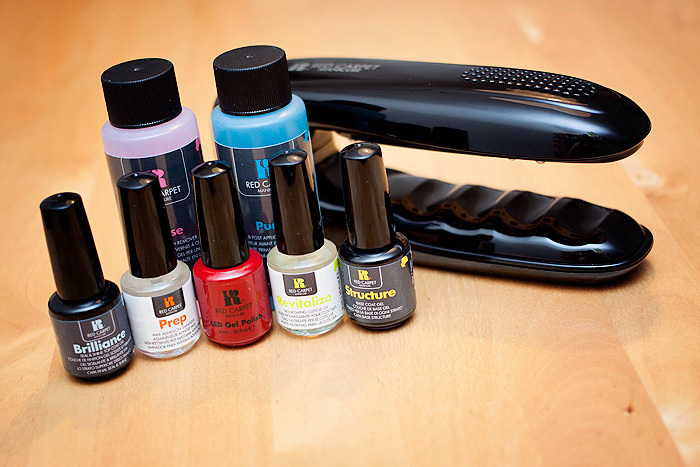 The Red Carpet Manicure system is easier to apply on the nail than the Sensationail kit. And for a novice, this is an important distinction. The Red Carpet Manicure products apply like a dream. The brushes are cut more carefully and I found it remarkably easy to apply each layer thinly. Don’t underestimate the importance of applying this type of gel system in super-thin layers. 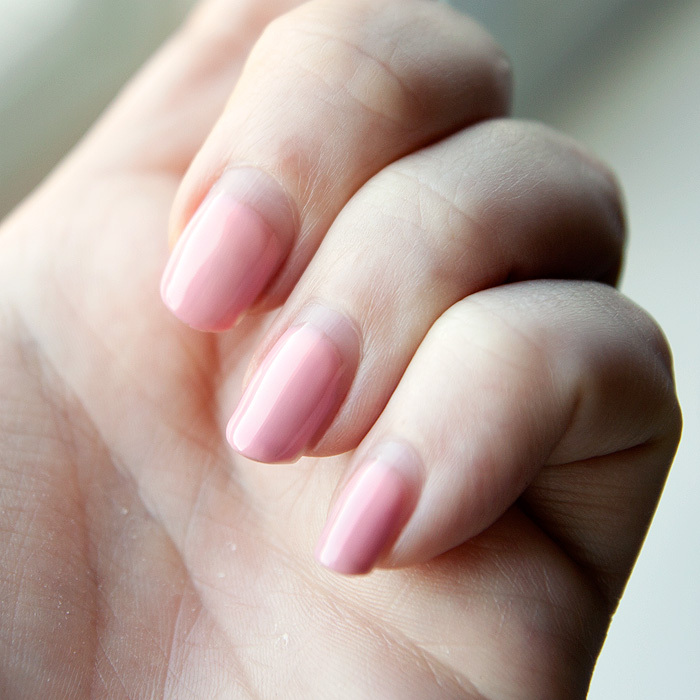 Thickly-cured gel on your nails is u.g.l.y. The polish stays complete wet and workable right up until the moment you begin to cure it, leaving you ample time to push the product around the nail… capping the tips, keep the polish clear of the cuticles. It’s almost therapeutic. You can see my funny finger contortion in the picture below… this was taken mid-cure. You can also see how teeny-tiny the lamp is – it looks like a stapler! Two minutes later and my colour was cured and ready for a top-coat. All in all, it took around 25 minutes to complete a full manicure. Looking back, I see that this is less time than it took to complete with the Sensationail kit. Considering curing times are slower with this kit, I’m surprised at the difference. I can only put it down to the speed at which I was able to apply the product to the nail thanks to easier application. Ta-da! Here’s how the finished manicure looked. My one complaint is that it was a little sheerer than I would have liked after two coats as my nail-line is still visible but in all honesty that’s my fault. I was asked to choose a colour to receive with my kit and I didn’t look closely enough at the Pinterest photos linked on their colour range page (nice touch btw) that would have given me a better idea! 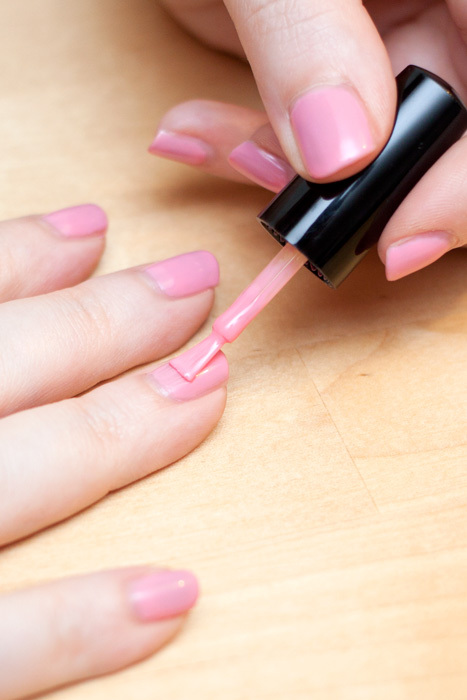 And so… manicure down… how did it last? Well, really well actually! I didn’t experience any of the “lifting” that I occassionally experience with the Sensationail kit and after 12-days (see picture below, please excuse the eczema), you’ll see that there’s no chipping of the nails. The same does apply to all the other nails, I promise – I just didn’t think when I took the photo that you might want to see all of them, sorry! Removal was easy… I previously complained about the removal for the Sensationail system but I got the hang of it in the end. Both are very similar… you simply need to buff the surface of the nail first, do the tin-foil trick (with pure acetone) and scrape off any remnants. Give it 10-minutes with the foil on your fingertips first. I will say however, that I didn’t need to buff my natural nail after removal with the Red Carpet Manicure kit… there were no remnants at all. So… all being said and done… yes, I do have a clear favourite out of the two systems. The Red Carpet Manicure performs better for me across all levels except one, I’m not a fan of the ultra-portable lamp. But I will happily trade a contorted finger for easier application and a better shot at being able to create some funky nail art with the system(! ), greater value-for-money, and a wider range of colours. * please find my Sensationail reviews here and here.